It’s almost time to rejoin the Wizarding World of Harry Potter on the big screen. Though the stagebound Harry Potter and the Cursed Child looks to the future of The Boy Who Lived, our next piece of cinematic Rowling takes us back in time. 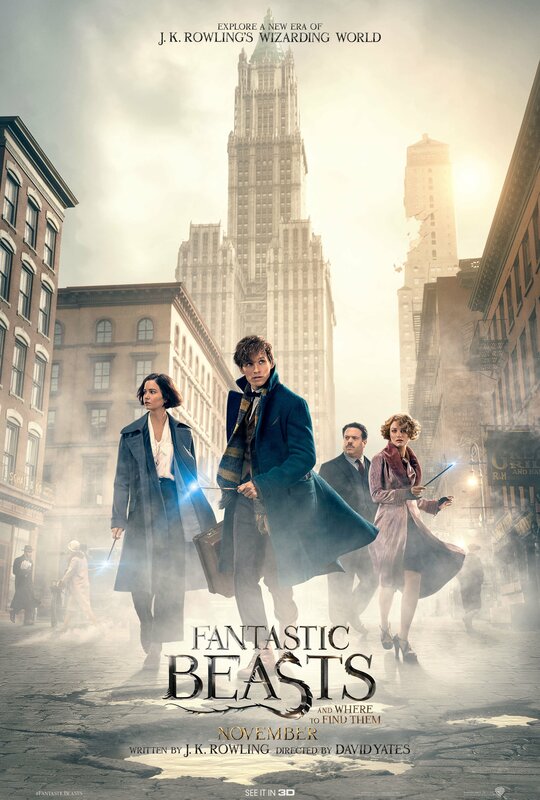 Fantastic Beasts and Where to Find Them takes place in New York City in 1926, and follows the fateful journey of a young wizard named Newt Scamander and the titular run in with the Fantastic Beasts. There’s a neat new trailer and poster out today, so what say we cast a glimpse, eh? The film has a fine cast including Katherine Waterston, Dan Fogler, Alison Sudol, Ezra Miller, Samantha Morton, Jon Voight, Ron Perlman, Carmen Ejogo, Jenn Murray, Faith Wood-Blagrove, and Colin Farrell, and will be released worldwide on November 18, 2016. Is the world ready for more Pottering fun?